Get ready for Wine Fest 2019! 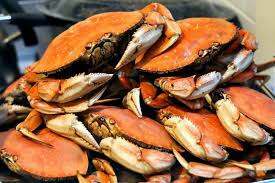 We’ll provide the bibs, the fun and the amazing seafood provided by the Cracked Crab of Pismo Beach. A local favorite, they’ll put everything in buckets and pour them on the table for you to get your heart’s desire of crab, corn on the cob, sausage and more! Dinner includes appetizers, salad, dessert and wine. We’re hosting this dinner on the cellar floor so we’ll roll up the doors and enjoy a beautiful May night with the amazing sounds of Route 66. One of Gary’s favorite bands, it’s hard not to get up and dance! Consider this a fun, delicious way to kick off Wine Fest in Paso Robles! $200 per person | $160 for Cellar Club Members | For information and reservations, contact events at 805-238-9607 or email events@eberlewinery.com.